Cosmo Bio would like to acknowledge and thank the GeneCopoeia, Inc. for providing genome editing and RNAi information presented here. Bogdanove & Voytas (2011). TAL Effectors: Customizable proteins for DNA targeting. Science 333, 1843. Jinek, et al. (2012). A programmable dual-RNA–guided DNA endonuclease in adaptive bacterial immunity. Science 337, 816. Ketting (2011). The many faces of RNAi. Dev. Cell 20, 148. Mittal (2004). 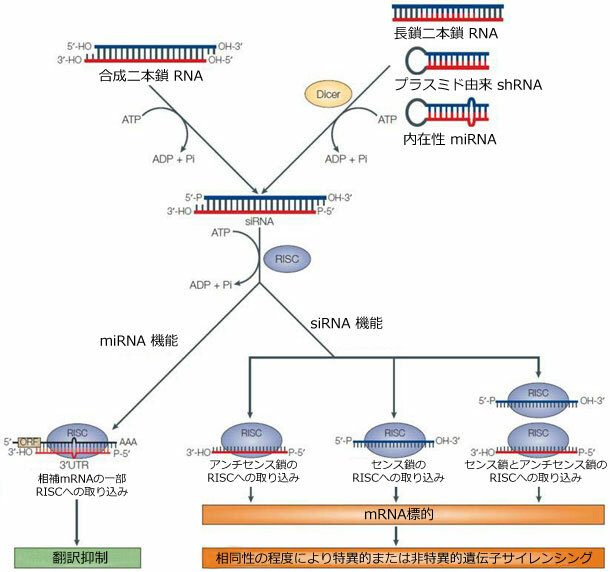 Improving the efficiency of RNA interference in mammals. Nat. Rev. Genet. 5, 355. Shalem, et al. (2014). Genome-scale CRISPR-Cas9 knockout screening in human cells. Science 343, 84. Wang, et al. (2013). 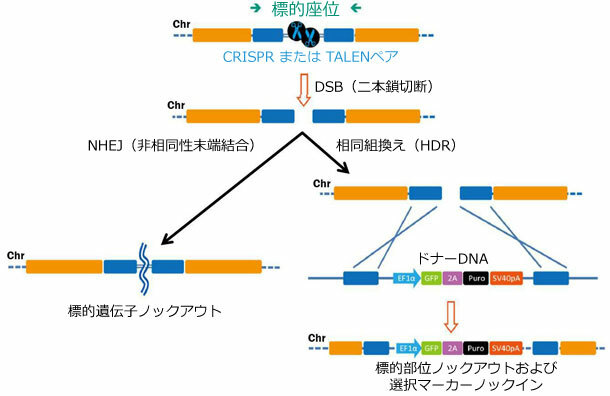 TALEN-mediated editing of the mouse Y chromosome. Nature Biotech. 31, 530. Wang, et al. (2014). Genetic screens in human cells using the CRISPR-Cas9 system. Science 343, 80.